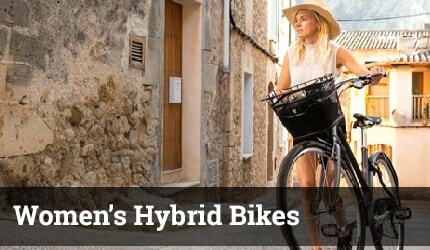 Hybrid bikes cover a wide range of styles, from flat bar road bikes to dual sport bikes suitable for light off road use. 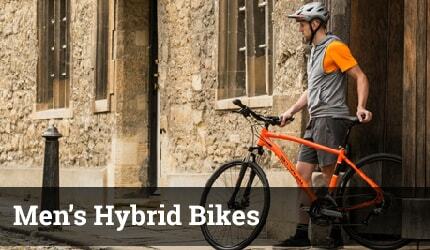 These are practical bikes and many come with mudguards and/or racks or at least the ability to fit these types of accessories. Generally Hybrids will have a nice relaxed riding position.